"Bonejangles 2 : Bride of Bonejangles," the sequel to the hit horror-comedy, "Bonejangles" (2017), needs your support. An Indiegogo campaign has launched to see that Mr. Bonejangles gets to hack and slash another day. “We've upped the anty, and we plan on bringing Mr. Bonejangles back in a big way: more over-the-top kills, killer old-school practical-effects, and more of the same humor you've come to love,” director Brett DeJager said. Joining "Bonejangles 2" are a superlative cast of familiar film faces including Kelly Misek Jr, Jamie Scott Gordon, Julie Cavanaugh, Chris Weigandt, Ben Gersh, Lawrence Wayne Curry, Jordan Phipps and David E.McMahon. More major names are to be revealed over the next few weeks. Picking up after the events of Bonejangles, supernatural serial killer, Edgar Friendly Junior a.k.a. Mr. Bonejangles, is inadvertently resurrected by a mysterious and sinister cult of followers of the succubus witch, Rowena. Mr. Bonejangles wastes no time picking up where he left off and sets his sights on hapless police officer Doug Partridge, the one who got away from him. But Rowena’s followers have plans of their own on Bonejangles.... plans that may spell doom for the very world itself. At the same time, Doug attempts to move on with his life alongside his one and only love, Sally. But fate has other plans for our heroes. Sally’s older sister, Susan, a.k.a. Susie Homemaker, holds an ever lasting sisterly grudge against Sally that leads to her kidnapping Doug in an insane quest for revenge. 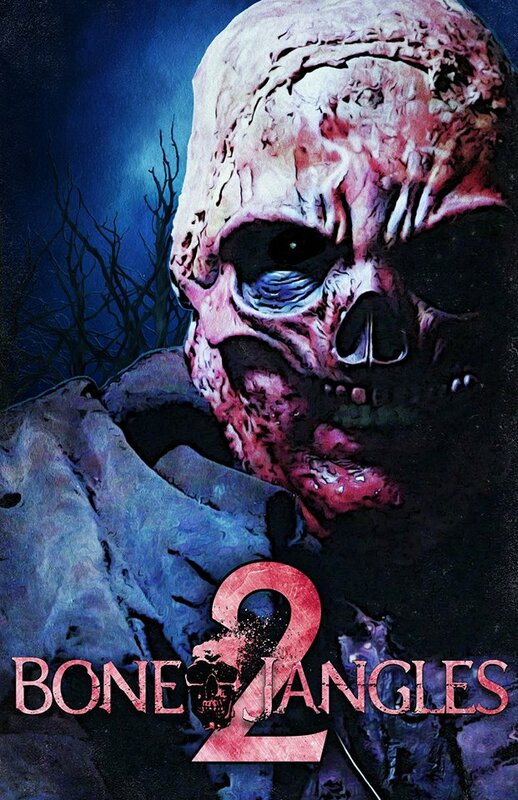 Our heroes soon find themselves trapped between two unkillable maniacs out for blood and things get even worse when these two fiends come face to face in "Bonejangles 2: Bride of Bonejangles." Contribute to the Indiegogo campaign to score fantastic incentive freebies like a triple pack of DVDs, a collector’s edition "Bonejangles 2" Blu-ray, a limited-edition poster, collector’s edition VHS, and, drumroll, the original Bonejangles costume.